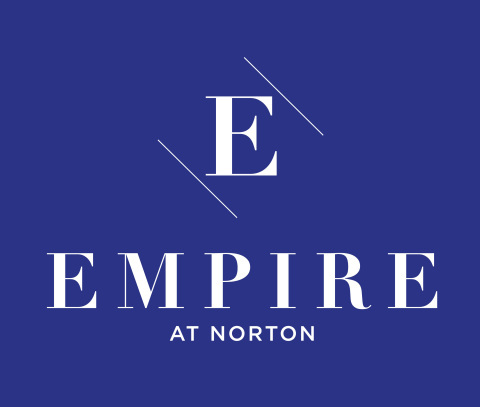 LOS ANGELES--(BUSINESS WIRE)--Empire Property Group (www.empirepg.com) has officially expanded its high-end residential portfolio with the opening of Empire at Norton (www.empireatnorton.com), a brand-new development in the heart of West Hollywood. Centered around the notion of livable luxury, the latest offering from the L.A. based firm checks all the boxes: form, function, convenience and smart design, with the polished modern aesthetic that has undoubtedly become Empire’s signature. 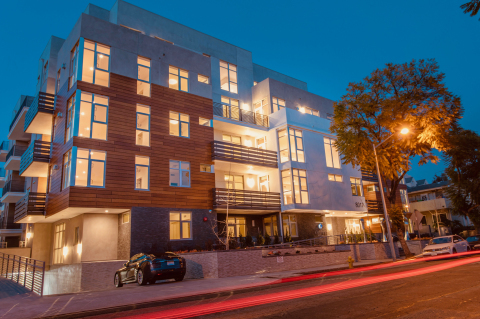 Located at 8017 Norton Avenue, Empire at Norton boasts five stories of boutique luxury residences that blend upscale convenience and modernist style to offer a true cosmopolitan living experience. Its 34 spacious one-, two- and three-bedroom units feature high-end finishes and a sleek, contemporary vibe. And, with Empire Property Group’s ongoing commitment to community, Empire at Norton will contribute affordable units to the City of West Hollywood’s affordable housing program. 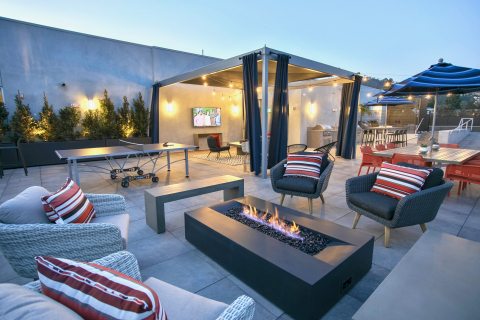 Countless amenities include innovative keyless entry systems, Nest thermostats, gas fireplaces, floor-to-ceiling windows, quartz countertops, Italian cabinetry, chef-grade appliances, ample storage, private outdoor spaces, and in-home laundry, to name just a few. In a can’t-beat location off Crescent Heights, Empire at Norton stands proud in the heart of the city, with iconic nightlife, fantastic shopping, and celebrated foodie spots just a stone’s throw away. The beautifully designed building features multiple open areas, an all-inclusive fitness center, expansive rooftop terrace, plunge pool, and pieces by celebrated sculpture artist Heath Satow for the ultimate urban retreat. The residences are available for lease now with prices starting at $4,200. For more information and to schedule a private tour, please visit www.empireatnorton.com. The story of Empire Property Group started with founder Craig Berberian’s vision in New York and evolved into a series of high-profile residences in the City of Angels. Empire is a Los Angeles-based luxury property development firm specializing in the construction and management of boutique residential communities in sought-after urban neighborhoods. A highly selective market strategy combined with sustainable architecture, flawless execution and modernist design gives the brand a distinct edge in Southern California’s high-end residential market. Empire’s unique approach to real estate development is redefining the standard in an industry consumed by unimaginative big box design and construction. Rather than build boxes that residents must fit their lives into, they build homes that fit the lifestyles of their residents. Empire Property Group is passionate about elevating the rental market and prides itself on creating unique urban living experiences for the most discerning clientele. Find out what livable luxury means by visiting www.empirepg.com. Empire Property Group returns to its West Hollywood roots. Los Angeles Developer opens highly anticipated boutique residential apartment building.